FIMES WORLDWIDE MUSIC few months back started #Munachimso Hash Tag on social media which many users trends with not knowing it was the title of the ‘FWM” newly signed Artist Kemzy which featured his record mate Enkz and produced by “Jeff Beat” her in house producer. 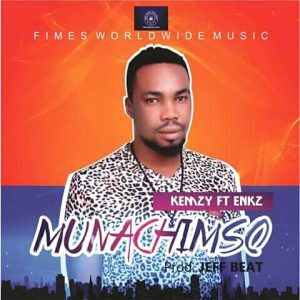 We present Kemzy ‘Munachimso’ ft Enkz prod.by Jeff Beat. Download, share, play, and enjoy Munachimso. Ceo/Chairman CUSAN CIKONVENT INT’L. NIG. LTD. the Principal Company of FIMEs Worldwide Music & Entertainment Group.